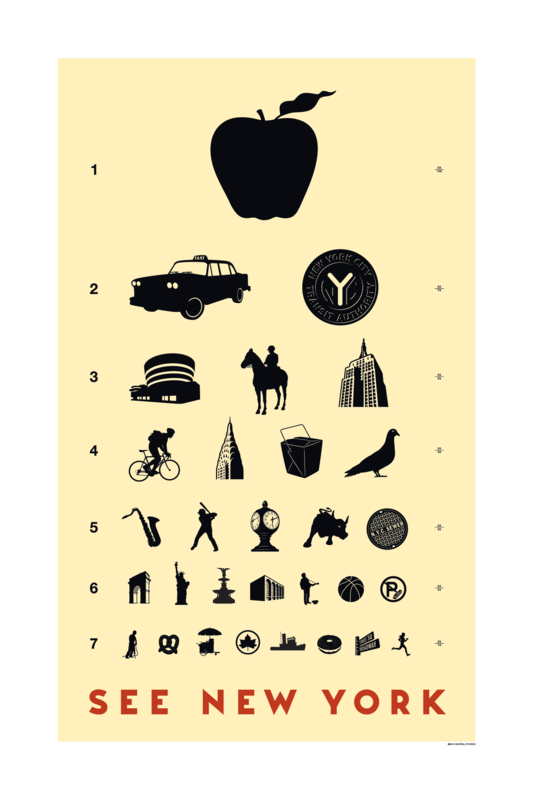 A unique celebration of your favorite places in the style of a classic eye chart. 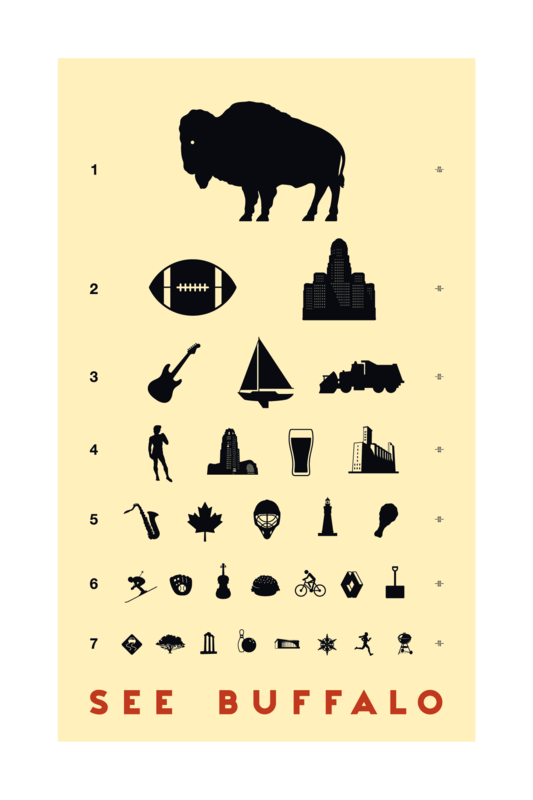 Instead of letters, these giclée prints feature icons representing everything you love about your hometown or vacation spot - the cool and the quirky, the weird and the wonderful. 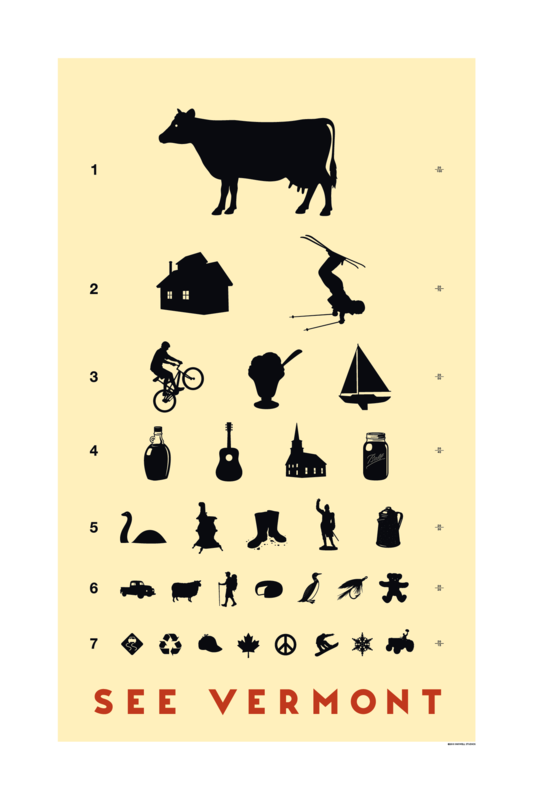 See America in a whole new way! Black flies, black bears, snowshoes and s’mores. If you love life inside the Blue Line, you’ll love this print. All prints are archival quality, signed by the artist and sized to fit standard frames. 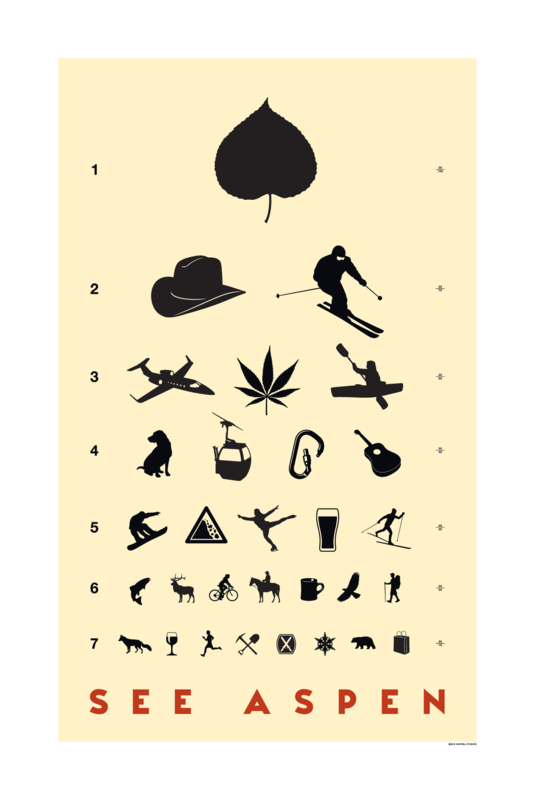 Hiker, biker, jet setter or ski bum- if you’re high on Aspen, this print is for you. 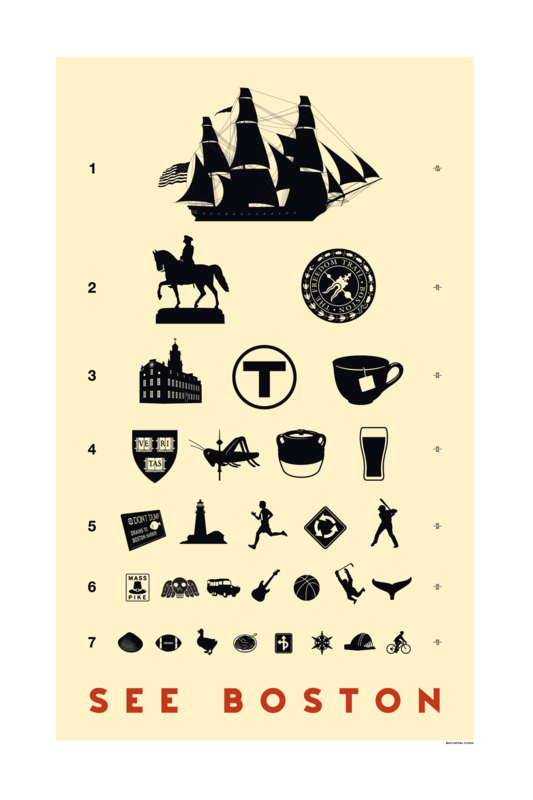 The best of Beantown, from tall ships to a golden grasshopper. Wings and 'weck, art and architecture, snowplows and sailboats- everything you love about the Queen City of the Great Lakes. 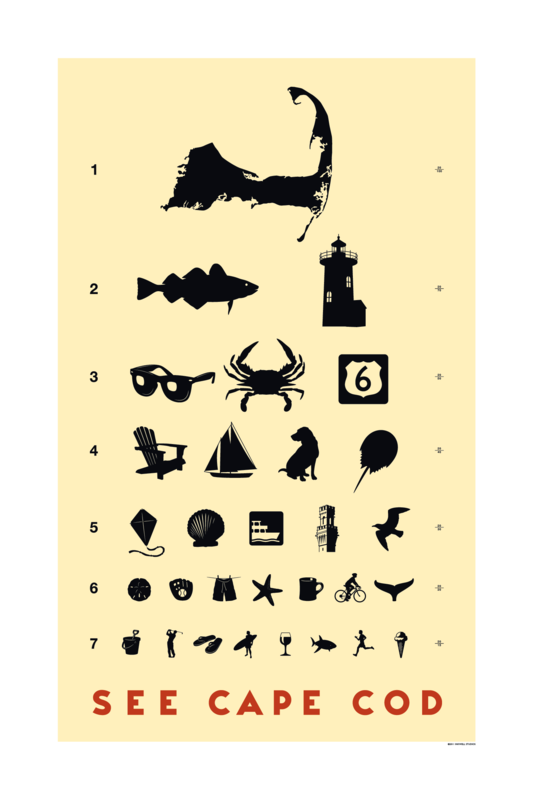 From crabs to Labs- everything you love about life on the Cape, captured in thirty stylish icons. 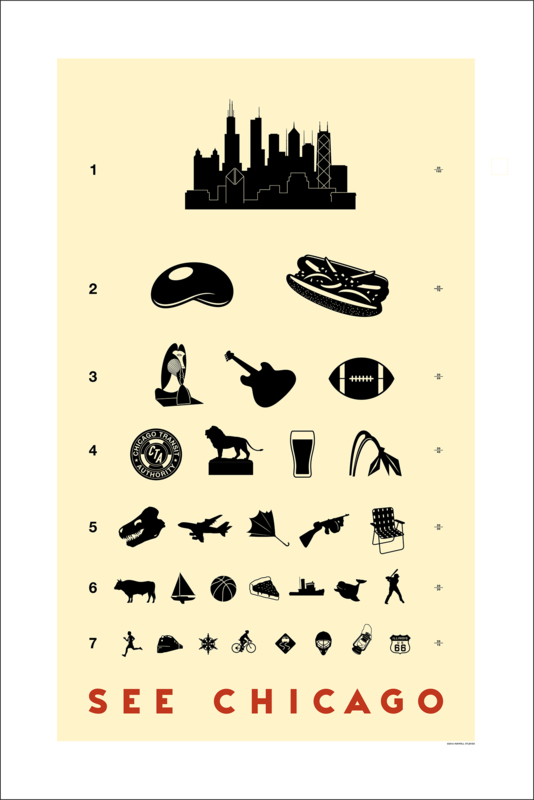 The Bean, the blues and Sue the T rex- if you’re bullish on the Windy City, you’ll love this print. Thirty stylish icons capture life in City of Angels- can you name them all? 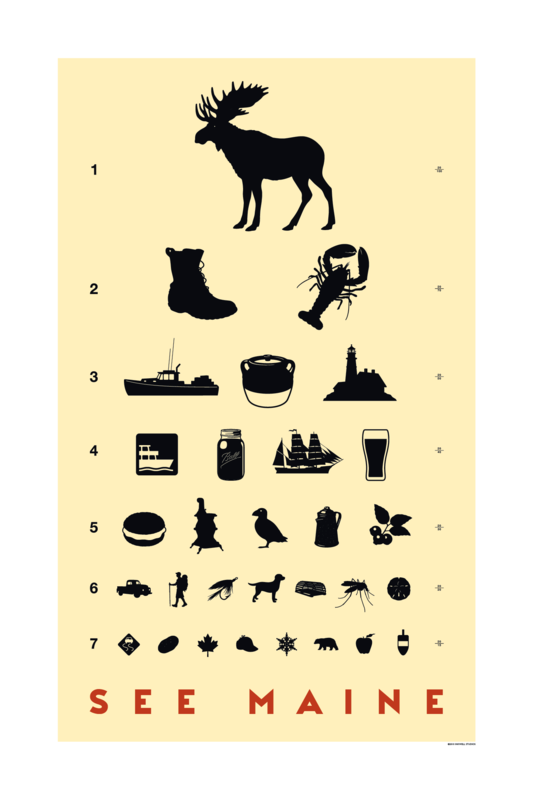 Maine things: Bean pot and whoopee pie, mosquito and moose, lobster and lighthouse. 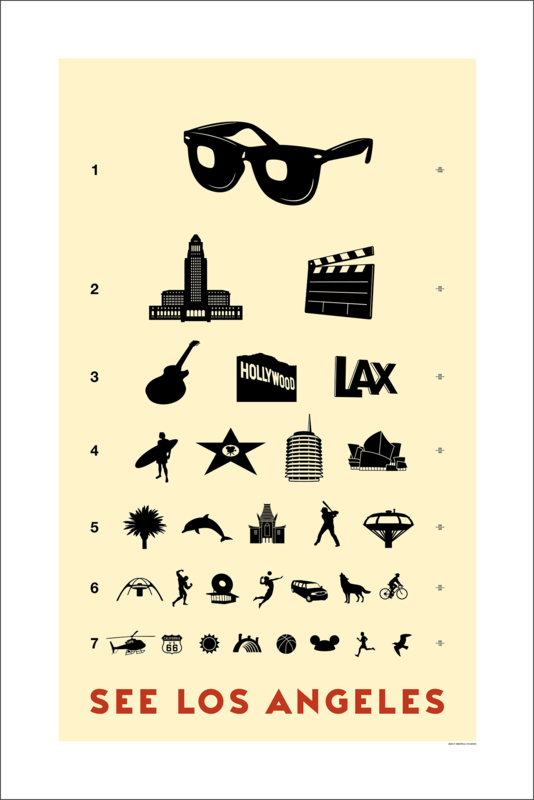 Everything you love about the Pine Tree State captured in thirty stylish icons. Beignets, beads and Bourbon Street. Crawfish and catfish. A streetcar named Desire. 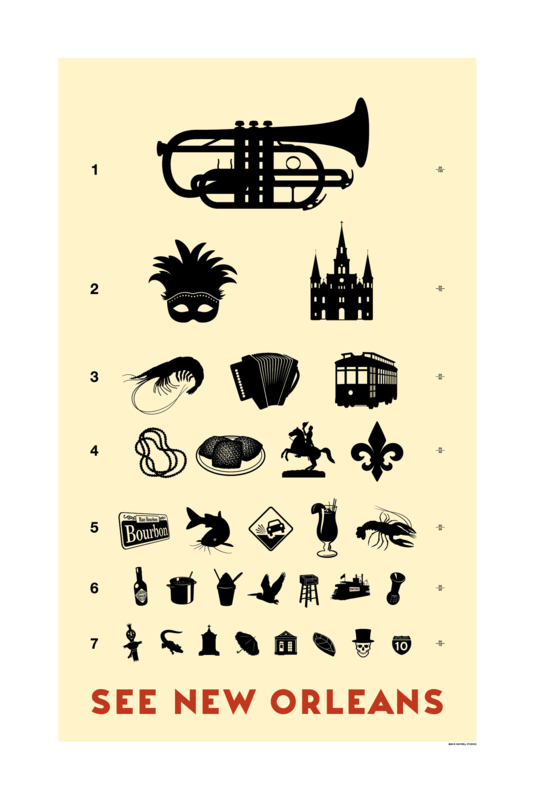 Thirty stylish icons capture the magic and mystery of the Crescent City. The Bronx is up, the Battery’s down, and everything in between is captured in this print celebrating the City That Never Sleeps. 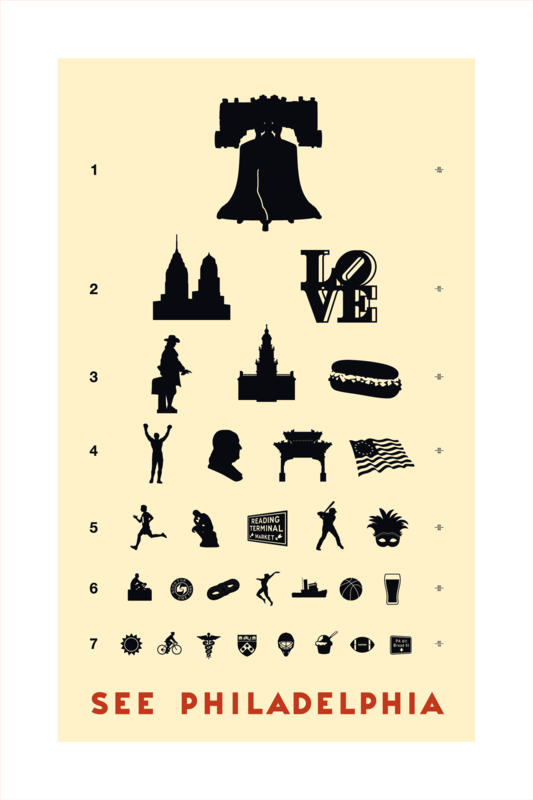 Everything you love about Philadelphia, the old and the new, captured in thirty icons. Sugar shacks, mud season and a sea monster named Champ. And cows. Lots and lots of cows. 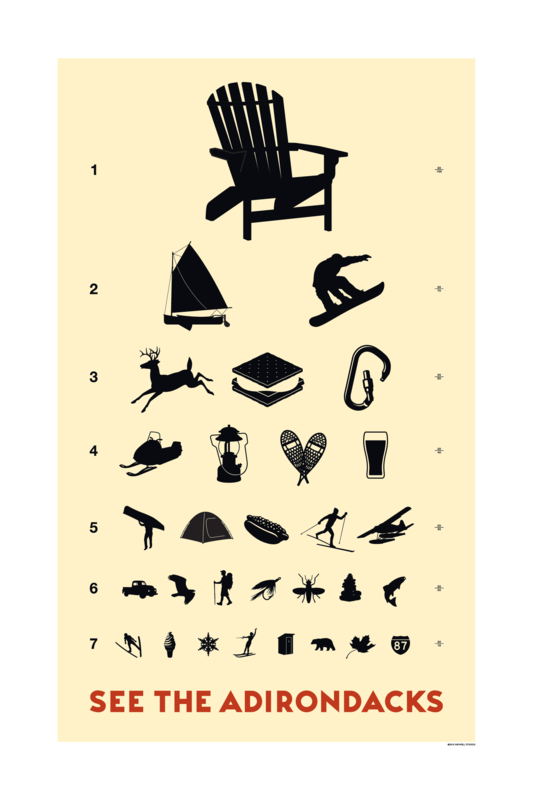 Vermont has it all and it’s all captured here in this stylish giclee print.